Cast your minds back to 2017 when EGG FIASCO’s custom SARU Skullhead Samurai for the Skullhead Samurai custom art show at FLABSLAB made our jaws drop. Fastforward to the present day and he’s linked up with the fine folks at Secret Fresh for Art Fair Philippines. 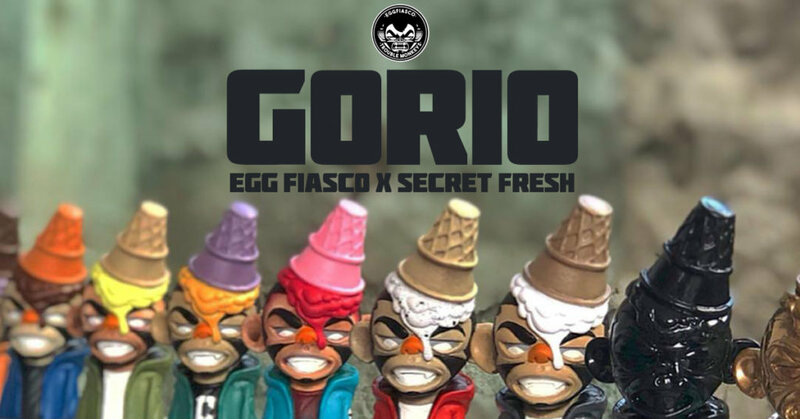 EGG FIASCO presents a range of resin Gorio coming in various colours and editions! For enquires hit up Secret Fresh. You can find Egg Fiasco via Facebook and Instagram.